S&L Podcast - #219 - We Make People Win Nebula Awards-- Maybe. First off we now have a 100% record picking Nebula-award winning books for the club. That’s 100% of the last two years. So take note Nebula-wanters! Also we’re very excited about a new series from University of Illinois Press called the Masters of Science Fiction. You can find out William Gibson’s secrets! Ian: Sword and Laser pick Annihilation won Best Novel Nebula! In 2013, the University of Illinois Press launched a new series of scholarly books: The Modern Masters of Science Fiction, a series dedicated to studying the men and women who shaped modern science fiction literature. 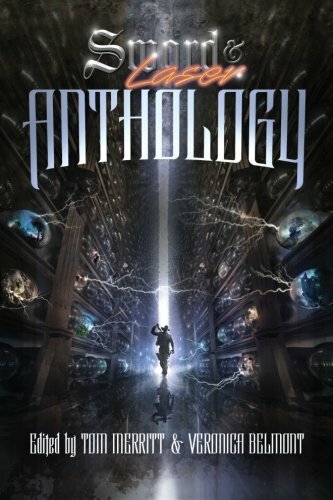 Chaz Brenchley won the Lambda Award for Bitter Waters for Best LGBT SF/F/H Book (it's a collection). 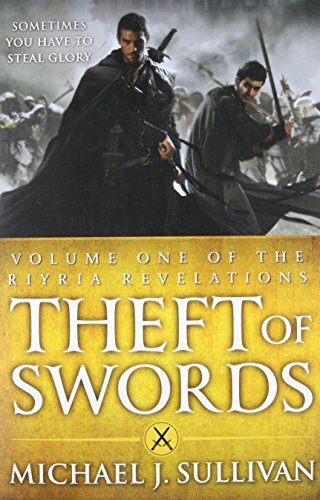 Stealing Rob's post from another group that shall not be named - New Riyria Chronicles book and chance for bonus goodies like awesome t-shirts. Due to various deadlines, Mr. Sullivan has decided to self-publish the 3rd Riyria Chronicles book and is doing a Kickstarter. I am new to the Sword & Laser podcast and just really podcasting in general. It's amazing to find a medium where similar interests are explored and expounded upon. Having said that, I'm slowly catching up from earlier podcasts on Sword & Laser but upon listening to the Elizabeth Bear author spotlight I learned that your a fan of Grimdark (Abercrombie). I'm a huge fan of the genre and have read and found the following authors/books truly fascinating: Abercrombie (First Law), Heroes, Best Served Cold, Brent Weeks (Night Angel), Brian McClellan (Powder Mage Trilogy), Brian Staveley (Emperor's Blades), Luke Scull (Grim Company), and most recently Mark Smylie (The Barrow) which was amazing but yet found certain parts uncomfortable to get through. Right now I'm reading Marc Turner's (When The Heavens Fall). Based on your experience with Grimdark and the Fantasy genre and what I have been reading, I was hoping you could shed some light on some other author's and their books that would fit the mold of what I am currently reading. I'm really looking forward to what you have to say. Thank you so much for your time. Hopefully I'll be able to get up to speed on the podcast shortly enough. Thanks for your time. SWORD & LASER AT THE BAY AREA BOOK FESTIVAL IN BERKELEY! Joanna: Holy crap, John Scalzi just signed a $3.4 million deal with Tor for his next 13 books. Well, if he still thought that he hadn't "made it", he has no excuse for that, now. Given his blog, though, I don't think imposter syndrome was something he suffers much anymore, if at all. More details, including the plan of books. James (Observant Raven) The first trailer for The Magicians TV series has been released. Louie: Wil Wheaton to narrate the audiobook of Ernest Cline's Armada. James (Observant Raven) The trailer for Arthur C Clarkes Childhood's End tv series has been released. Are some stories just too old? Forgotten or unreadable by today's standards? You'll get $10 in credits to back a book you'd like to read! If you've already created an account and have backed one of the S&L contest entrants, you've already received an additional $5 to keep the momentum going! So head over to the S&L Collection contest and back your favorites!" You can also support the show by buying books through our links! Find links to the books we talk about and some of our favorites at swordandlaser.com/picks . Robert Jackson Bennett joins us on the show this week to talk about his new book, City of Stairs! Download link here, or watch the video!